Despite the general focus on the visibility, it’s a cold hard truth that simply getting clicks isn’t enough. Clicks aren’t an ego booster. They should be conversions – customers that will establish a relationship of loyalty with you. For this reason, it’s necessary for you to follow these tips to increase your Website efficiency. Therefore, one might say that the core of every good advertising campaign is the very content that you provide. What happens when the person makes the click? This right here is the golden question that should be in the mind of every online advertiser on this planet. Before getting caught up in the Adwords Management or SEO parts of the job, we must focus on the content. This brings another problem – how much content is too much? 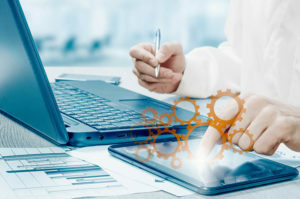 There are indications that a build of a website can affect its speed and efficiency. Speed and simplicity are the staples of every good website and should be honed as such. Let’s look at how different builds work and if the notion of slowing down is true at all. One way the content on your website can slow it down is a lack of mobile-friendly content. It’s 2017 and one thing should be more than clear – every website should have responsive web design, regardless of the content and the operating system it’s opened on. If you don’t boast a mobile version, a website with desktop mechanics may cause severe speed issues if opened on a smartphone. It will take a lot of scrolling to get through all the uncompressed data. The lack of simplicity will be a downside that nobody will want to deal with. Basically, you should cater to smartphone users by providing a simple and immersive experience. But what does that mean in terms of design? When you’re offering services, you should abide by the three-click rule. Everything on your website should be at most three clicks away. Anything more turns into a search party and no customer wants to deal with that. No matter the extent of the content, the three-click rule should never be disregarded. Including a simple three-click oriented design is an excellent way of increasing speed. In the end, what are some design tips to accelerate the functioning of your website? Keep video content to a minimum on the home page. Categorize all the media into sections. Images should be limited to two sections at most to facilitate loading. Keep it up to the point, don’t make the customer wait for what they want. To get rid of the excess contact bar, embed the contact information of your company into the background. Make sure you rent out a reliable server. It may cost more money, but it will keep your site from lagging. 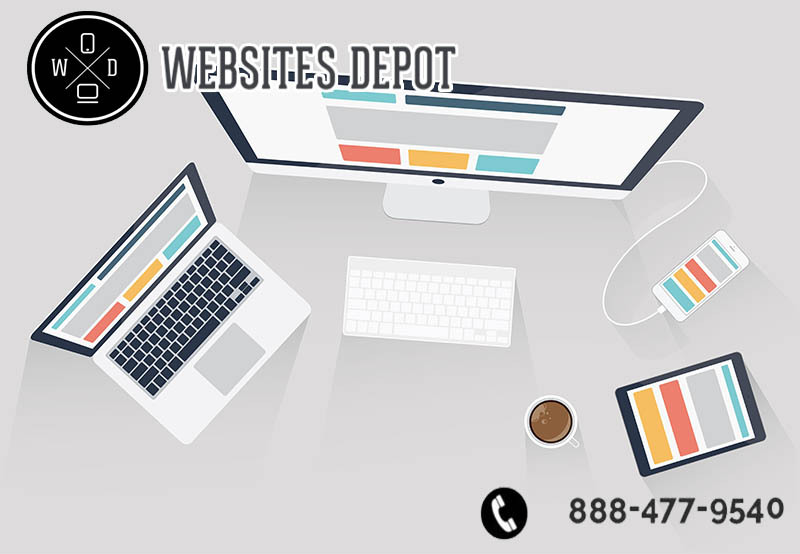 If you need more information on how to increase your site’s efficiency, call Websites Depot at (888) 477-9540.